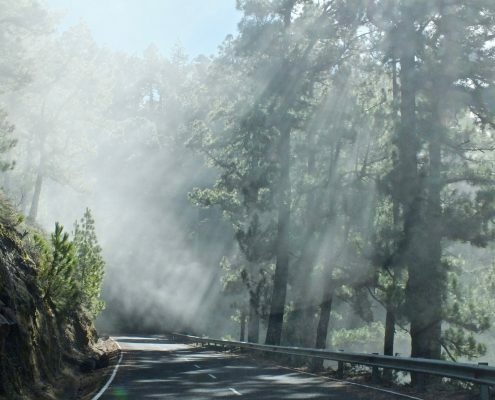 The Canary Islands host many natural phenomena. 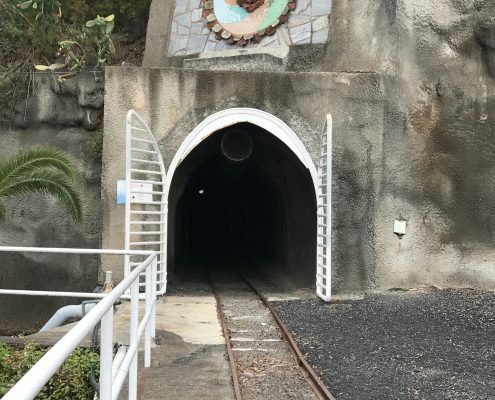 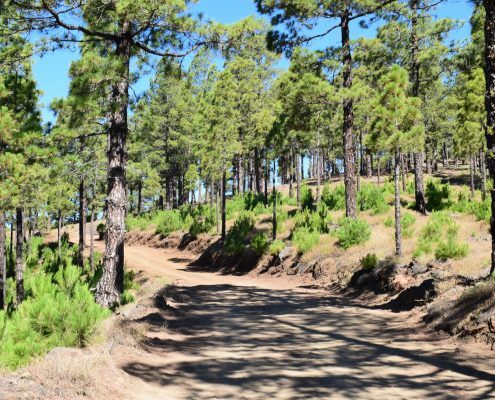 One of them is a significant part of the hydrogeological system which provides drinking water for the islands’ inhabitants and irrigation for the land. 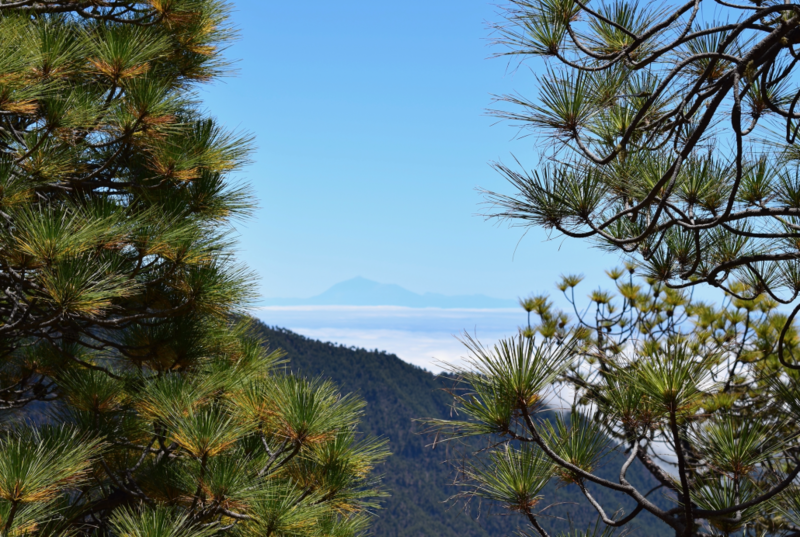 The annual precipitation in La Palma can vary between 300 and 1400 mm (MC Cabrera) depending on the altitude. 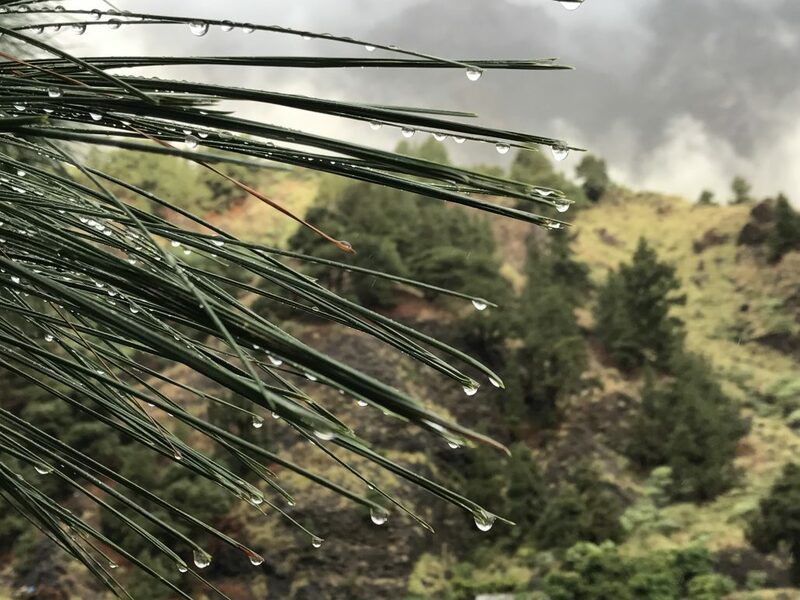 However, a significant source of groundwater comes from “horizontal rain,” a process which involves Canary pine trees (Pinus canariensis), low altitude clouds, porous tuff and impermeable dykes. 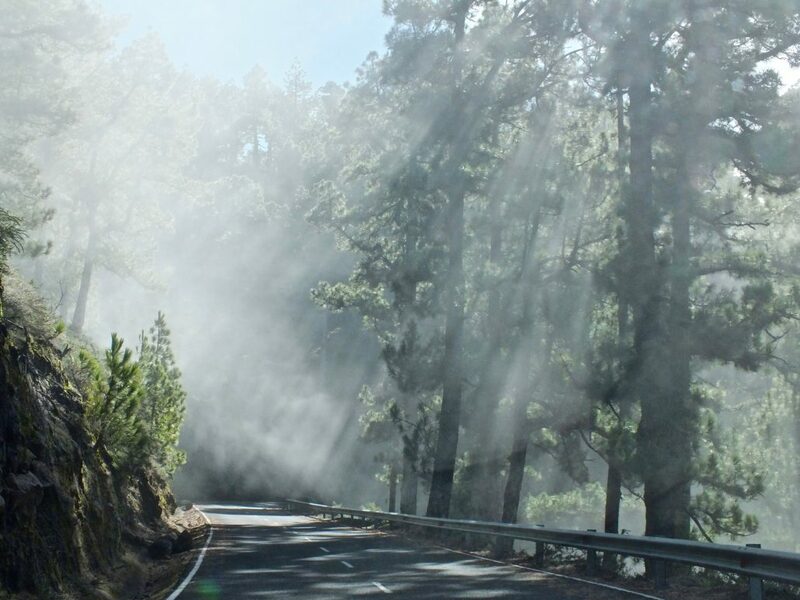 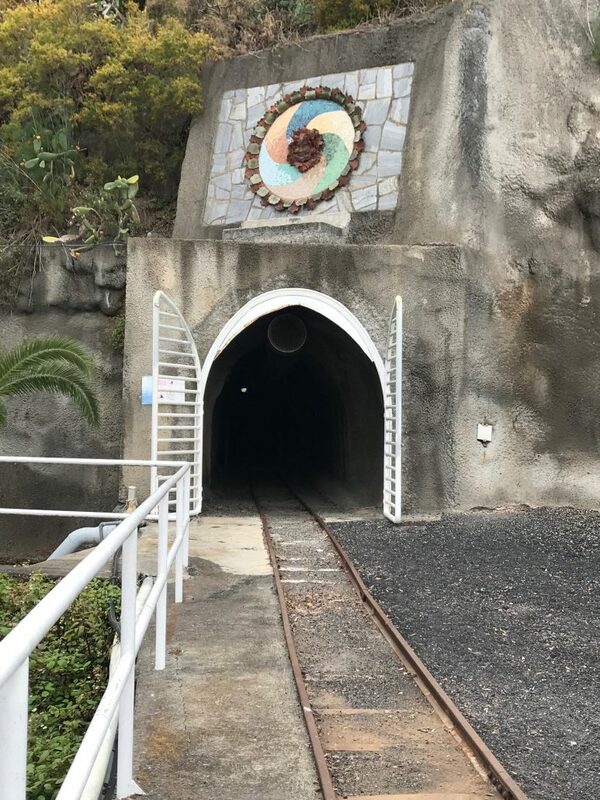 When humid air from the ocean moves over the volcanic mountains of La Palma, it is forced to ascend to a higher altitude by the topography of the island. 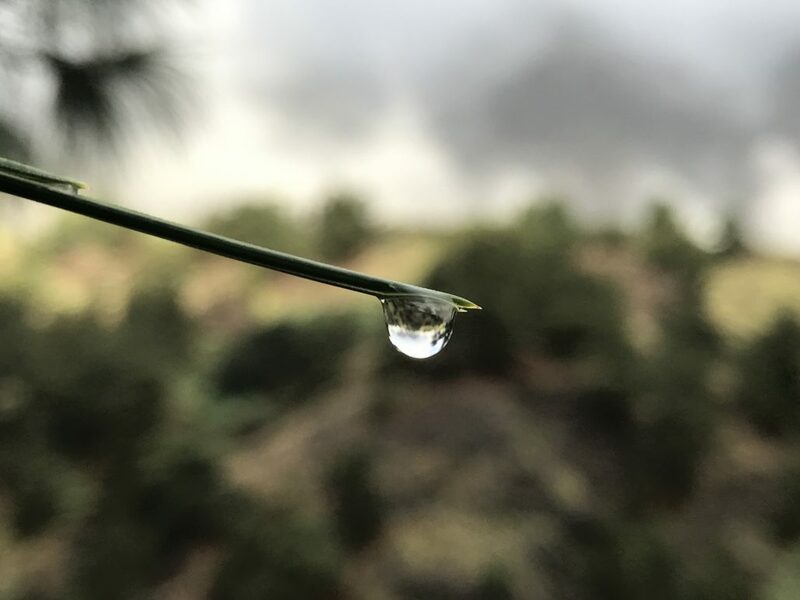 As it cools and its pressure decreases, at a certain height water precipitates and cloud is formed. 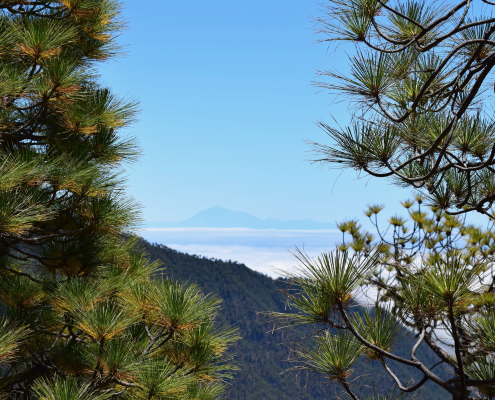 Since the air is ascending along the mountain, the clouds are often formed at ground level and flow though the Canary pine tree forests as they continue to rise. 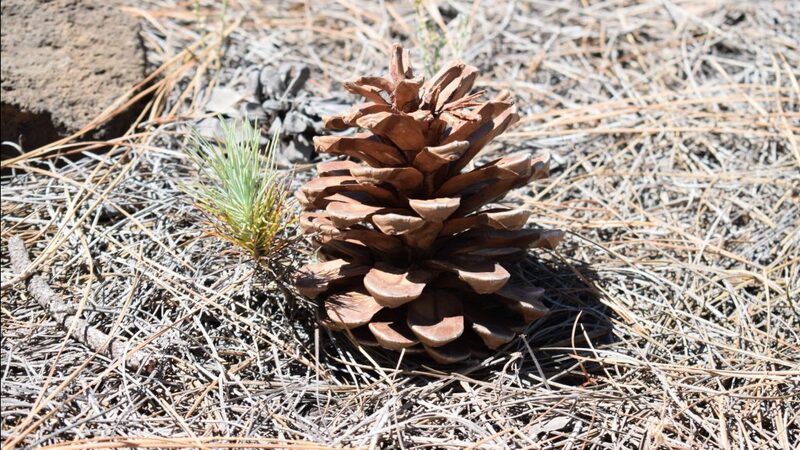 The type of pine tree endemic to the island typically has needles as long as 15 cm long. 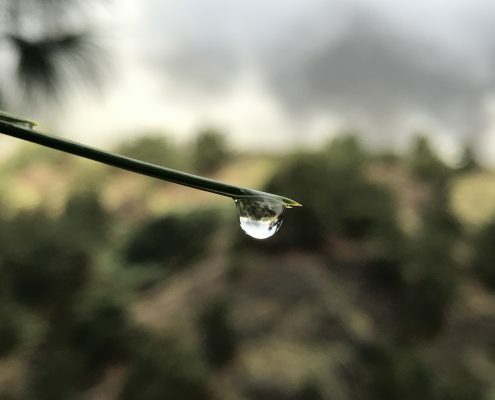 Water droplets are captured on these needles from the rising clouds, fall onto the ground and enter to the subsurface. 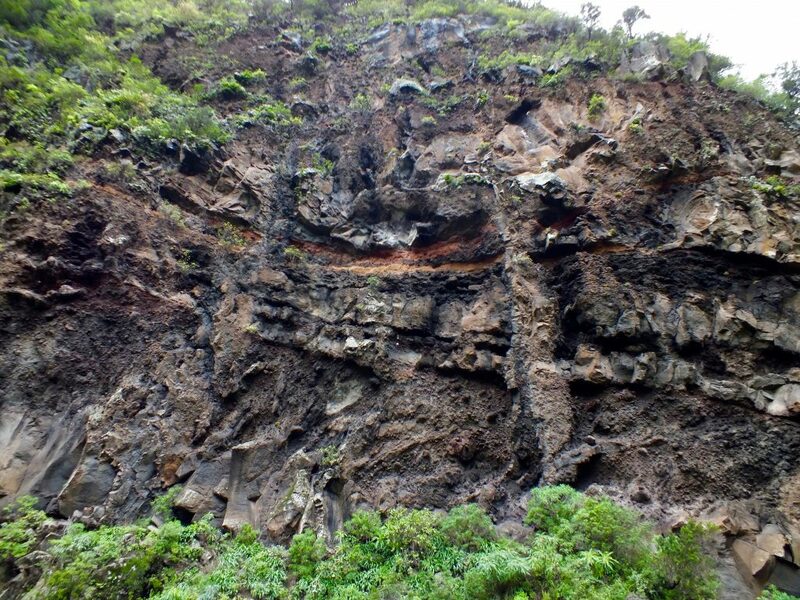 A volcanic island, La Palma is not lacking in layers of porous tuff and igneous dykes. 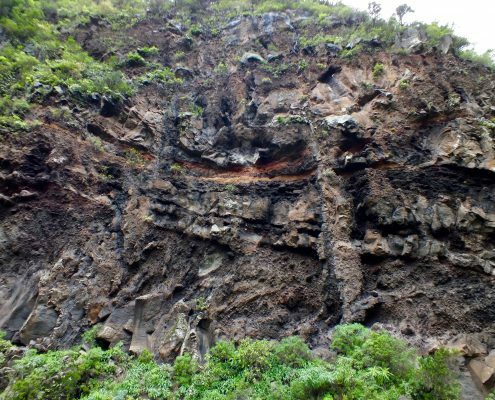 Water can easily flow through these tuff layers and collect in reservoirs, which are then trapped and sealed by impermeable dykes. 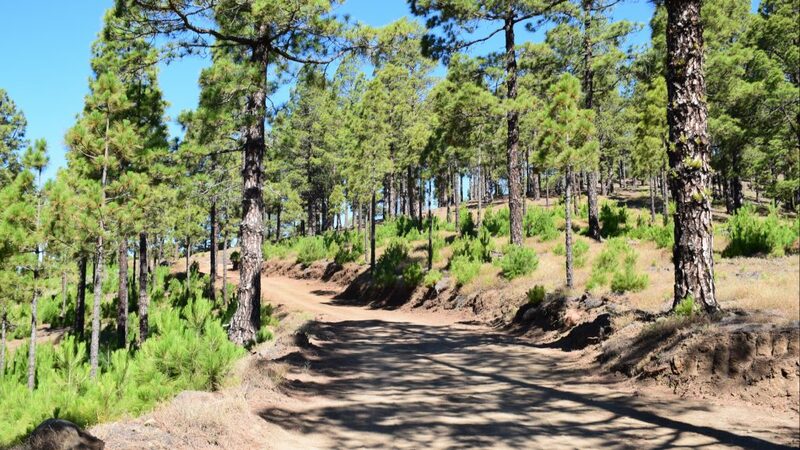 These water bodies can be accessed and drained by horizontal tunnels, or water mines, as the locals call them. 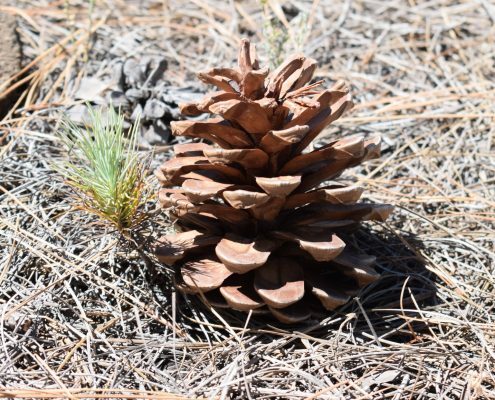 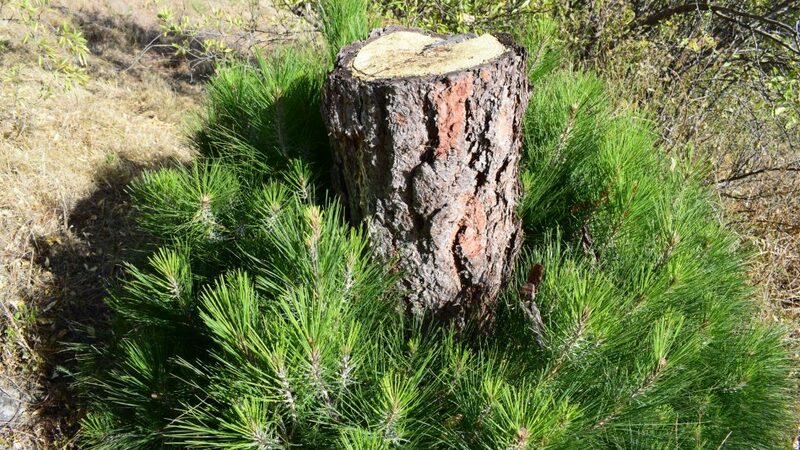 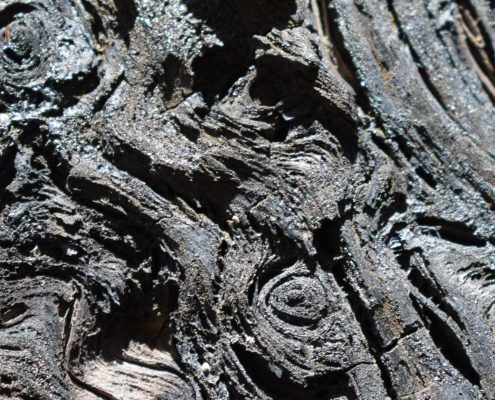 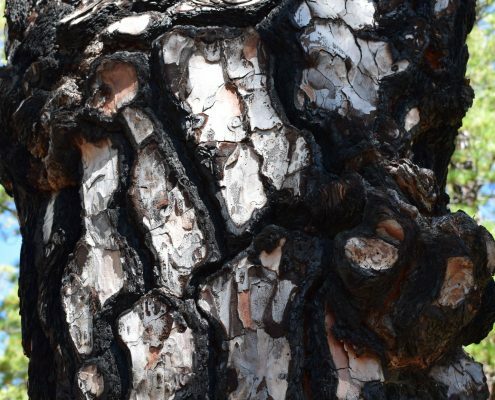 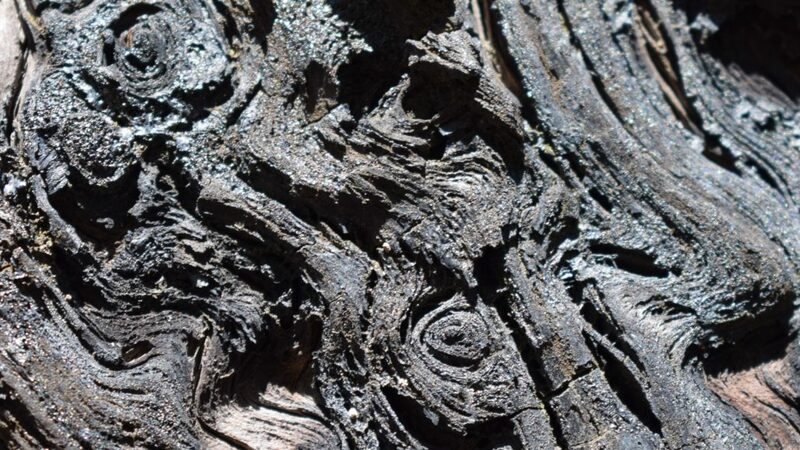 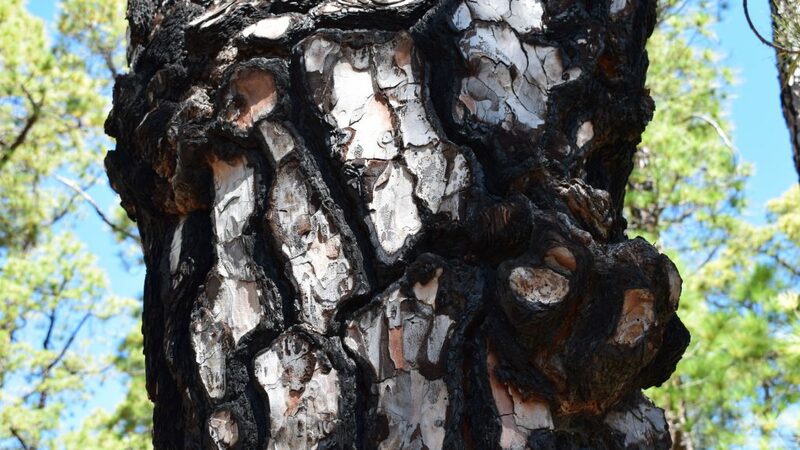 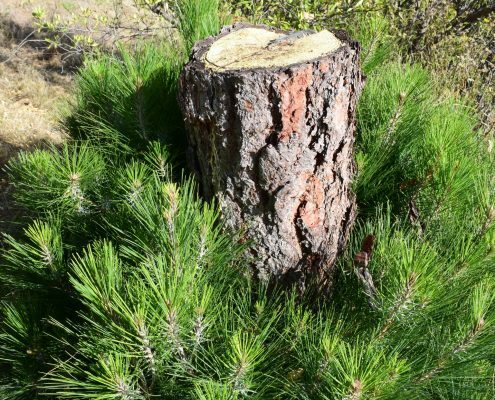 It is also interesting that Canary pine trees have a thick bark, saturated with resin, both characteristics that help them to survive forest fires and regrow. 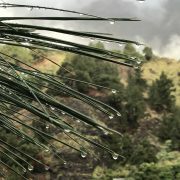 360 degree view under a Canary pine tree (drag and move the photo to look around).